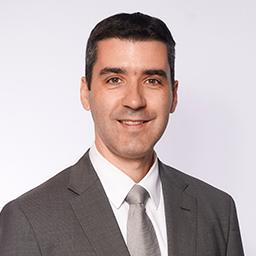 Olivier Proust is a European (French) qualified lawyer specialized in privacy, data protection and cybersecurity and a member of Fieldfisher's Privacy, Security & Information group. Olivier specialises in the field of privacy, data protection and data security law. He assist companies of all sizes and across sectors to comply with the General Data Protection Regulation (GDPR) including how to implement a GDPR compliance program, data mapping and data processing inventories, data protection impact assessments, Data Protection Officer, one-stop-shop, privacy policies, rights of the data subjects, and drafting/negotiating privacy clauses in data processing agreements. He also helps multinational organizations to implement global privacy compliance programs and in particular to comply with data export restrictions (such as binding corporate rules, the EU standard contractual clauses, and the EU-US Privacy Shield). Olivier also advises companies on data security incident issues, including data security breach notification requirements to the national supervisory authorities. I advise on all aspects of technology law (drones, cloud computing, social networking, geolocation), consumer privacy protection (e-privacy, direct marketing, cookies), employee privacy rights (employee monitoring, whistleblowing, corporate investigations, e-discovery). Finally, he assists companies in the context of inspections and audits carried out by the national data protection authorities, such as the CNIL in France. Olivier is a member of the International Association of Privacy Professionals (IAPP) and he holds the CIPP/E certification. Olivier was admitted to the Paris bar in 2006 and to the Brussels bar in 2008 (E-list). GDPR vs. U.S. Privacy Law: Friends or Foes? Game of Drones: Friends or Foes?